Branson Dutch Barge 49 Aft Cabin. Liveaboard! MASSIVE REDUCTION TO SELL!! Only 14 hours engine use! THE ENGINE HOURS ARE ONLY 14!!! Water tanks consist of 1x Grey and 1x black water. The forward cabin is currently converted to office use but can easily be converted back to 2 berth. The heads are fresh water flush! 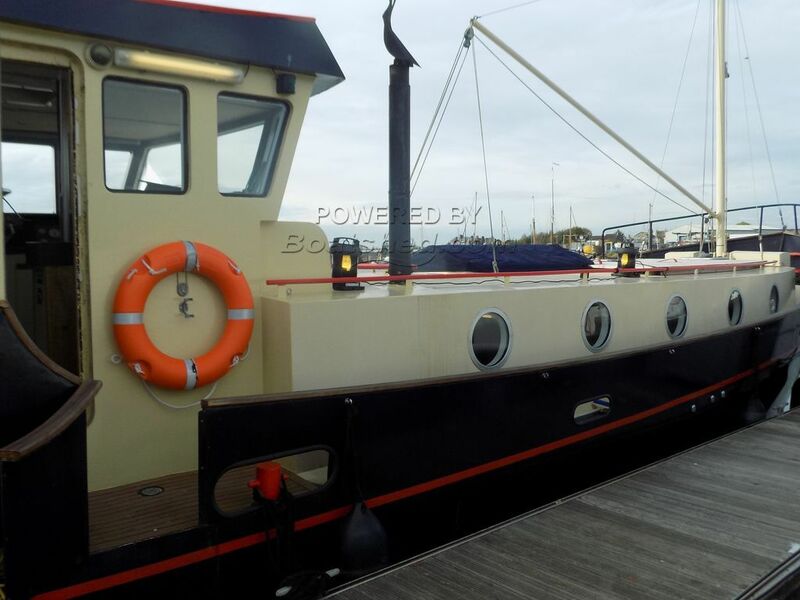 Register with Boatshed to see 156 extra photos of this Branson Dutch Barge 49 Aft Cabin. Liveaboard! MASSIVE REDUCTION TO SELL!! We are privileged to offer such an outstanding and stunning barge design of this type. The interior design is second to none and is currently a home to the owners. The Coaster is of tough steel construction and is of heavier bulld than similar sized vessels. Capable of long range cruising at sea or indeed at home on many rivers. The hull design offers efficient displacement speed of 8.5 knots and the navigation suit in the wheelhouse allows comfort and excellent visibility for a safe and able seagoing journey. The Branson is a well respected and much sought after build. This vessel is a MUST SEE TO FULLY APPRECIATE and early viewing is Highly recommended! The current mooring is available by negotiation with the marina management. This Branson Dutch Barge 49 Aft Cabin. Liveaboard! MASSIVE REDUCTION TO SELL!! has been personally photographed and viewed by Geoff Jaquest of Boatshed Suffolk. Click here for contact details.